Maithri Threat – Will It Translate In To Votes Against Rajapaksa? The threat posed by Maithripala Sirisena and Co. to the popular war-winning President is the biggest pre election political upheaval since the defection from the Chandrika Kumaratunga government by SB, GL and eleven others that gave the crown to Ranil Wicremesinghe in December 2001. Will this be repeated in the January 2015 elections? This time around, the number of defections are rumored to be far greater with 21 to 46 predicted, a far greater number than in 2001. Yet, President Mahinda Rajapaksa remains more popular than the Chandrika Bandaranaike Kumaratunga presidency of that time. This defection could not have come as a surprise to the president as his brother, Defense Secretary Gotabaya Rajapaksa controls the country’s well trained and well equipped intelligence network. He is sure to have calculated his risks when he ventured to bid for his third term with two years left from his second term. Most urban Sri Lankans have welcomed this move by the former (?) 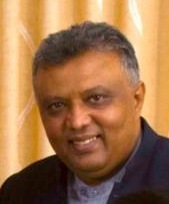 Secretary of the Sri Lanka Freedom Party (SLFP) and the common opposition as an answer to alleged corruption and nepotism of elephantine proportions by the current administration, yet it is still too early to predict whether this would be translated into majority votes. President Rajapaksa still continues to be hugely popular among the rural population because of the relentless campaign by the state media to portray him as the Sinhala Buddhist leader who saved the nation from the Tamil tigers. While the die-hard Rajapaksa loyalists stand by the president, there is no doubt that a huge section of the incumbent government is disgruntled and frustrated at the blatant favoritism towards the ruling family and their cronies, but with the huge amount of financial and other resources available to the current presidency, it is going to be a formidable task for the opposition to maintain the momentum gained by the defection of this powerful section of the SLFP. 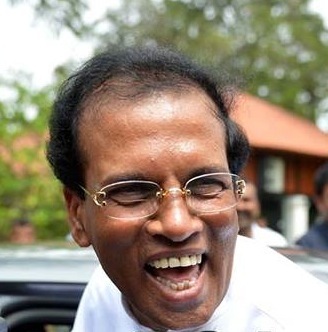 There is no doubt that Maithripala Sirisena’s emotional speech resonates with popular opinion, but if this dissident lot who apologize for their role now had not supported the 18th amendment, President Rajapaksa may have introduced these constitutional amendments himself so that he could have returned as an executive prime minister or a prime minister answerable to the parliament with the necessary constitutional changes. The dissidents have already been expelled from the SLFP. It is yet to be seen whether the dissident members of the SLFP would lay claim to the party, especially after the emotionally charged speech by Madam Chandrika Bandaranaike Kumaratunga, with her announcement that she is returning to her ancestral home, the SLFP. This could be a popular campaign slogan amongst the SLFP constituency. There is no doubt that Chandrika is the main architect of this coup, but the wrath of the Rajapaksa administration is yet to be experienced by the dissenters. This election would probably make the infamous Wayamba elections look like child’s play with unprecedented violence and intimidation, which is bound to be part of this campaign. Will the common opposition stand together in defence? If there is a Maithripala victory, Ranil Wickremesinghe, with his gentlemanly gesture of adhering to popular demand will go down in history as the man who eradicated the curse of the Executive Presidency that his party introduced, but can the common opposition change the constitution after the January 2015 elections, should they succeed?. Why would the lot that remains with the Rajapaksa regime support any change in the constitution, after not being a party to it before. Will there be another 2/3rd majority ever, in any elections? The better option for both President Mahinda Rajapaksa and the common opposition would be an attempt to resolve this prior to the elections. Do they have the time and commitment to do it? While the Janatha Vimukthi Peramuna (JVP) was the only political party that stood by its principles and refused to accept the bid by President Mahinda Rajapaksa for a third term, it may end of as the party that gave him his unprecedented third term if it does not join the common opposition as an active member. It is the JVP that has the network, capacity and capability to undertake a grass-roots campaign as they did in the 2005 presidential bid of President Rajapaksa. Venarable Athuraliye Ratane Thero’s role this with his Pivithuru Hetak that brought the Jathika Hela Urumaya in to confrontation with President Mahinda Rajapaksa is probably the single most important factor that brought the opposition under a common agenda. The role played by Venerable Sobitha Thero too cannot be under scored. These two saffron robed respected monks have also driven the the Bodu Bala Sena in to cold storage, as the majority of the peace loving Buddhists are sure to follow the nobler monks than the extremists. The Sri Lanka Muslim Congress has very little choice but to join the bandwagon, as the Muslims are most likely to vote anti-Rajapaksa because of the hate campaign led by the Bodu Bala Sena and other extremist Sinhala groups that was allowed to continue under the current government with impunity. What role would Sarath Fonseka, the war winning General play in the common opposition? What would Thondaman do with his plantation constituency? Can he survive the political challenges posed by the new entrants to plantation politics, should he be out of power? When would he jump? The Tamil National Alliance now has a face saving opportunity to join the common opposition even though the candidate has defected from the current government. The left parties led by DEW, Tissa and Vasu may rethink their position and support the abolition of the executive presidency. The minority parties including the Sri Lanka Muslim Congress (SLMC) are sure to jump the sinking ship if the common oppositions’ momentum is maintained. Ranil Wicremesinghe has been hailed as the “Hero” of our times that he probably richly deserves, not just for allowing Maithri to bring him the fortunes, but for the “Sanga” stroke he has played in the political field. He is the winner all the way, with this masterstroke; he has ensured that, should there be a common opposition victory, he would take the reins as the all-powerful Prime Minister with Maithripala Sirisena probably as the non-executive president. With this, he has also ensured that his party would not be fragmented again in the immediate future. Its a fightback of the introverts is’nt it? The big mouthed extroverted louts had their fun. Now its the turn of quiet specialists. Introverts are schemers, somehow crawl back with elaborate unpredictable scheming. The quiet ones should never be taken for granted. Don’t worry Ranil is going to contest from the UNP. Sirisena is the common candidate, not the UNP candidate. I think if not for mass-scale rigging and shooting ordered by Go-Ra, it will be a easy walk for the team MS.
Just see how the rural voters do the voting as they for dynastic and family rule. MS himself will get a large chunk because he is a from a farmer family in NCP with districts of A’Pura and P’naruwa coming with large vote bank together with the recent defection of the A’Pura Dissanayake family. Also A’Pura Dissanayake family is close to the DM Jayarathna family in Gampola. It looks like Janaka Tennakoon and his son will cross over too as he was ill treated by Rajapaksas with a Ethanol king one Vasantha Perera was promoted in Matale who does pay Rajapaksas handsomely on this illicit Ethanol trade. The Siyana Korale voters will vote for Bandas and Senanayakes and with CBK/Karu J and the new kid on the block Vasantha Senanayaka it will be easy as well. with TNA backing – it will be easy for NE provinces. With JHU they get some of the ultra nationalist votes. With JVP – though undecided – will not back MR or be independent – more likely support MS.
SLMC – not sure what the dirty Hakeem will play this time – then again his voter base have shrunk and the Muslims will not vote for a govt that promoted hatred among them with actively promoting BBS. CWC – Thonda do not have the same level of control like before – he may support for MS or else MR will try to pay as much as to keep Thonda with him. Urban folks and minorities are always backed UNP and it should work this time too. So., its not fair to compare SF in 2010 and MS in 2015 as its Apples to Oranges as in 2010 SF a political newbie without much support came against the War hero and his brother and he was sidelines from within the very same opposition. This will be a new game and interesting to note how Rajapaksas unveil their terror tactics and vote rigging and blocking voters etc as they cannot face the masses and there is no future for this bunch of murderers. irrespective of what their leaders say as the govt failed to solve their immediate problems and they keep that grudge. Hill country Tamils live among the Sinhalese and will not show their dissention openly but they are not too happy with the recent handling of the mud slide, their compensation etc and no one, even Thondaman, looked into their poor standard of living. More over there are different factions in that small community and majority may vote for the opposition. UNP in UVA province will also try their best to grab the estate Tamil votes with UNP Fernando at the helm. cash constrains and mass rigging may be possible. Vote rigging in mass scale is impossible if massive trend against Mahinda. They can rig votes in small scale which may not be sufficient to win in this election because whole country is going to vote from North to south. People will always follow the trend. That is why in every provincial election Mahinda hijacked UNP parliamentarians as chief minister to create a trend for Mahinda. Dayasiri is an example. Now trend is against Mahinda. It is very difficult to turn this trend towards his side during this short period of time before January 8th which may hold the presidential election. This is d time to put SLMC in dustbin. Muslims should take this opportunity to line up with secular politics and should give up d transactional politics being carried out by Hakeem n co…. seriously what Ive heard is Hakeem was offered a millions of rupees by Rajapaksas to keep with him and he will never leave UPFA as Hakeem is not a Ashraff and its all about money. Hakeem will not change if there is one hundred BBS unless and until he gets paid by Rajapaksas ill gotten money. Its a shame that Muslims are isolated in present political climax. Oh what a relief.This is like dream coming true.trying to wipe my tears.At last light at the end of tunnel.Proud about the people who made this sacrifice notably Hon Sobitha and Rathana thero for thei up front bravery. You have already made history . We can wake up in new year hopefully with a new dawn restoring democrasy back in action. Long live mother Sri Lanka ! Well balanced article! Eagerly waiting to see the response from minority political parties. How would the Muslim factor play in this forthcoming election? what would JHU’s stance on minorities, especially of Muslim issues, be? As you rightly said majority of the Muslims may vote against MR simply because govt turning a deaf ear on BBS atrocities against Muslims in the last three of years. Some of JHU’s (Champika’s) rhetorical speeches targeting Muslims in the past were seen as the other side of the ‘anti-muslim’ coin as well – obviously the shiny side being the BBS! Given this is a presidential election and victory is decided by 50%+1 votes, minority factor would be crucial for either party! Well balanced article! Eagerly waiting to see the response from minority political parties. How would the Muslim factor play in this forthcoming election? what would JHU’s stance on minorities, especially of Muslim issues, be? As you rightly said majority of the Muslims may vote against MR simply because govt turning a deaf ear on BBS atrocities against Muslims in the last three years. Some of JHU’s (Champika’s) rhetorical speeches targeting Muslims in the past were seen as the other side of the ‘anti-muslim’ coin as well – obviously the shiny side being the BBS! Given this is a presidential election and victory is decided by 50%+1 votes, minority factor would be crucial for either party! Checkmate Mr President…… My three against yours…. Thought provoking article, Hilmy. I can’t trust the JHU. Their antecedents are not so good ……and even unnerving…..But yes kudos to Ranil. He plays with a straight bat and so a ‘Sanga’ cover drive was expected. Still, I am keeping my fingers crossed. You never can tell with politics. The chief architect of the Wayamba elections is still with the UPFA, but he’s a bit too old to play the same game. Older not wiser. And CBK who was the beneficiary is on the other side of the fence. Cor blimey! This is politics. We need decent men and women in politics. Time for change. We do not need any more large families ruling this country. We do not need a dictatorship with the top most posts held by members of one family. They keep scratching each other’s backs, and protecting each other. We do not need any more violence, muzzling of the press and murders of journalists. We need a real democracy, and the Rajapaksa’s have brought nothing but corruption, ethnic strife, and absolutely no democracy. We do not need a dangerous man like crazy Gota in charge of our Defense. We do not need white vans, and Sri Lankans missing or killed and no answers given. We do not need the Colombo Telegraph banned. This is the only chance for the people to make a change. if Hakeem and Thondaman support Mahinda this moment it will be political suicide. They will never able to keep their leadership among Muslim and estate workers. Other minority parties will grab this opportunity. 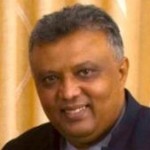 Split in the government, and the opposition parties’ excellent election campaign will not help to defeat the dangerous Rajapaksas. President Mahinda Rajapaksa started to fool the people on foreign conspiracy theory. If the Rajapaksas lose the general election we all know where they will end up. Therefore, the Rajapaksas will do everything to win, including vote rigging. If everything fails Gota will implement a militery coup. The Rajapaksas are far more dangerous family than people think. Their stupidity will make easy for India to follow Russia and takeover Sri Lanka. I always believed the Rajapaksas will create a disaster in Sri Lanka and Indian Ocean more than any other previous Sri Lankan leaders. China will backs the Rajapaksas as it backs the North Koran leadership. The Chinese communist party leaders kept North Korea as a buffer to protect China. China wants to secure its sea routs in the Indian Ocean. The Rajapakasas will fall for the China’s trick as North Korean leadership. The Chinese Communist Party is smart, it will continue to move forward at the expense of foolish people. In fact I admire China’s tricks and tactics. Do we all love our country? If the answer is YES,this will be the only opportunity in our history to save our motherland from this most corrupted regime. When he sorted out the terrorism we all loved him and adored him. But look at the country now, the law is diminishing,Drug lords are making billions,Corrupt politicians milking the country,people are disappearing,Journalists are disappearing.. where are we heading to..what is the future remains for our children. Why we allow one family and their henchmen to destroy our beloved country. This is our country,our future.This can not be ruled by thugs who don’t respect human values. Lets forget about all the political differences we have, my request from all Sri Lankans to get to gether and lead this change on 8Th January 2015 for a new Sri Lanka where we all can live peacefully as law abiding Citizens.This can be only done by you and me.